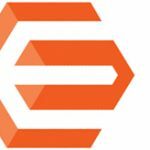 With the help of this extension, you will be able to export product data from both Magento 2 and 1 to Google Shopping without any headaches. 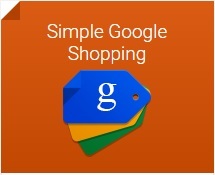 Although there are such tools as Xtento Product Feed Export that is designed to connect an ecommerce store with more than 50 third-party platforms, Wyomind Simple Google Shopping is extremely popular among merchants due to its simplicity, user-friendly interface, and vital functionality. Below, we describe the extension in more details. If you are looking for a more robust tool aimed at various shopping platforms, check Wyomind Data Feed Manager for Magento 2 and 1. The core feature behind the Wyomind Simple Google Shopping Magento 2 and 1 extension is the efficient export of Magento product catalog to Google Shopping. 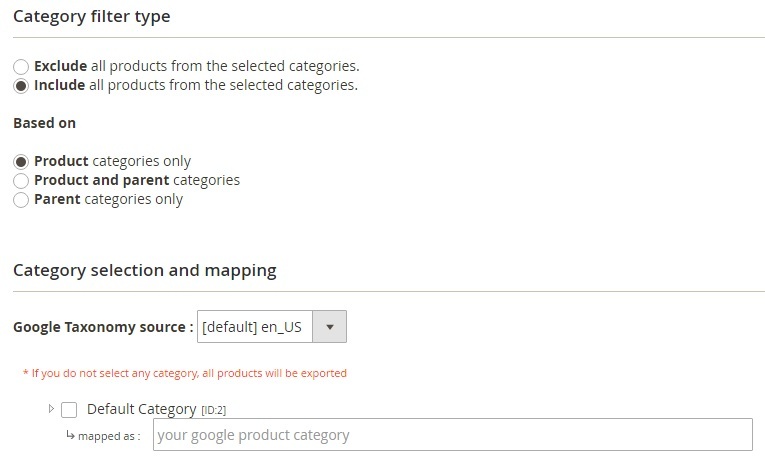 To achieve this goal, the module lets you add all your product types into a data feed. Besides, it provides the ability to create feeds based on multiple stores, currencies, and VAT rates. All data feed are generated in compliance with Google requirements. 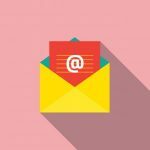 The extension offers the sample XML pattern, provides the ability to fix data feed errors with the help of error and warning reports, and allows you to preview each feed as well as use the syntactic helper to avoid misprints. Besides, you can effortlessly find any attribute in the attributes library. 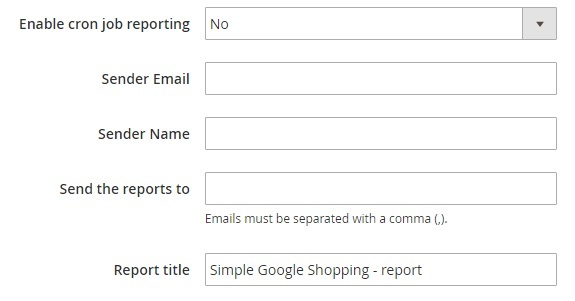 In addition to Google requirements, you may have your own rules related to data feeds, and Wyomind Simple Google Shopping for Magento 2 and 1 lets you easily customize each feed in accordance with them. Thus, you can add any attribute to the XML pattern, create attribute sets and category filters, filter products according to categories, and rely on OR/AND statements in filters. And there is no need to generate each new feed manually, because the extension can do everything automatically. 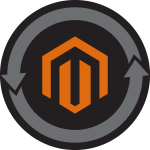 As a Magento merchant, you can freely use scheduled tasks to periodically generate feeds. 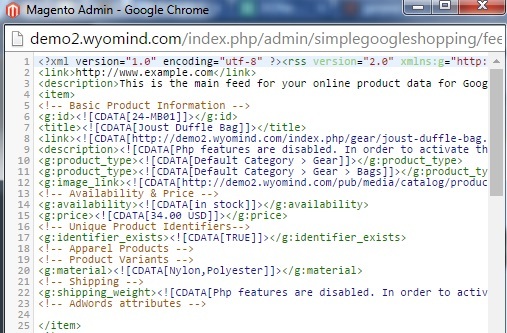 At the same time, Wyomind Simple Google Shopping lets you manually check your data feed generation. Furthermore, there is a generation status that shows whether the new data feed is correctly generated or not. Last but not least, Simple Google Shopping lets you easily find corresponding Google categories. You map your categories to Google ones with the Search As You Type option, eliminating the necessity of boring manual routine. Action (Edit, Generate, Preview, Show Report, Delete). While creating a new feed or editing an existing one, you have to deal with 4 tabs of options: Configuration, Categories, Filters, and Cron schedule. In configuration, you have to specify a name of a file created after the feed is generated and choose a directory where the file is stored as well as choose a store view for which the feed will be generated. Next, there are 3 parameters necessary for the internal use: Website url (Url of the data feed); Title (title of the data feed); and Description (description of the data feed). 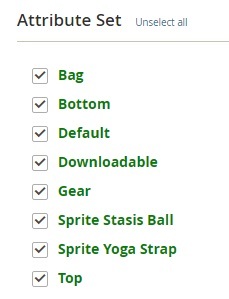 The last option that this tab contains is Xml pattern. 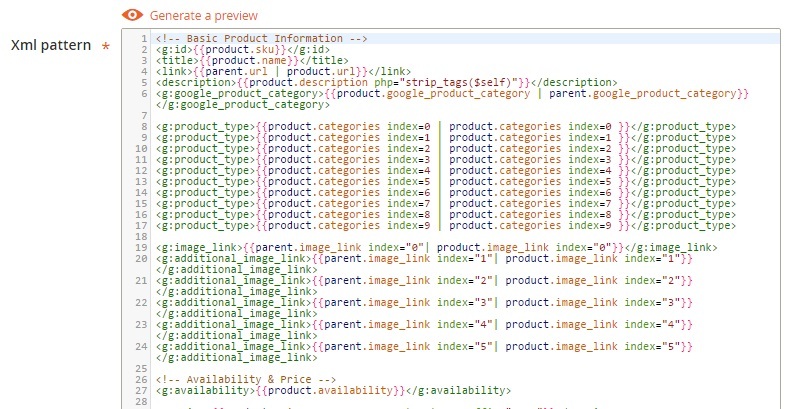 Here, you can generate a preview and see a product template used for generating the final data feed output. 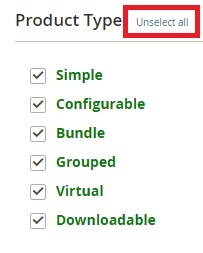 As for the Categories tab, it is divided into 2 sections: Category filter type and Category selection and mapping. 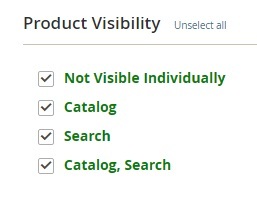 In the first section you can choose to exclude or include all products from the selected categories based on product categories, parent categories, or both. The second section lets you choose Google Taxonomy source and Default Category. Note that all products will be exported, in case you do not select any category. 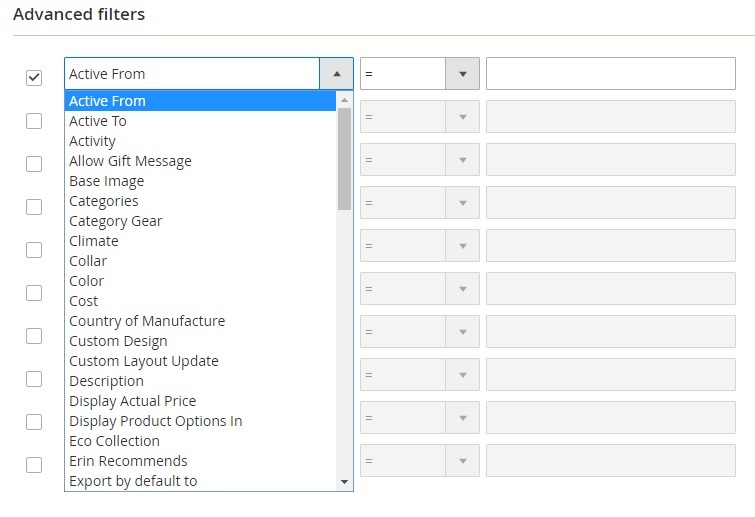 Next, you have to deal with filters: Product Type; Attribute Set; Product Visibility; and Advanced filters. All filters are selected, but you can unselect all of them for each group simultaneously. As for the Cron schedule tab, it doesn’t require any knowledge of the Cron syntax. You only have to tick days of the week and hours of the day your feed should be generated. 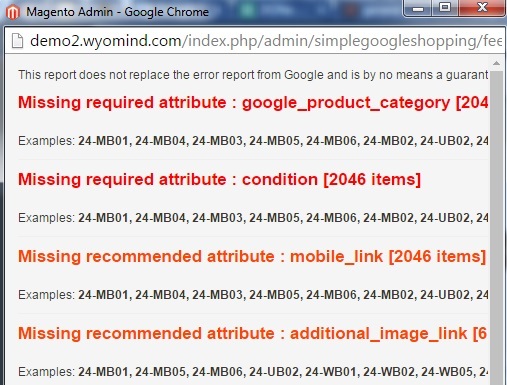 It is also necessary to tell a few words about general settings of Wyomind Simple Google Shopping for Magento 2. The extension lets you view your license as well as set up cron job reporting and core settings. 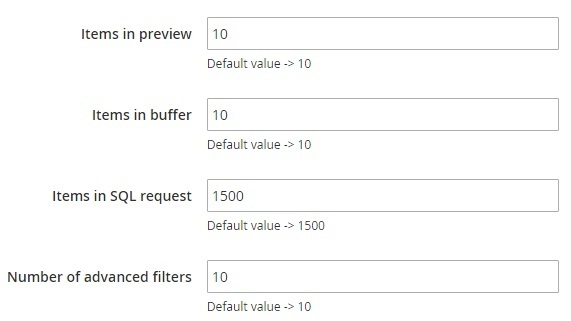 As for Core settings, they let you choose a number of items in preview, buffer and SQL request as well as a number of advanced filters. 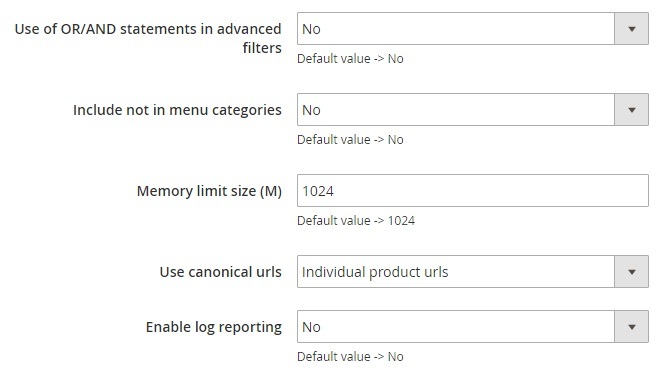 Besides, you can edit such parameters as Use of OR/AND statements in advanced filters, Include not in menu categories, Memory limit size (M), Use canonical urls, and Enable log reporting. 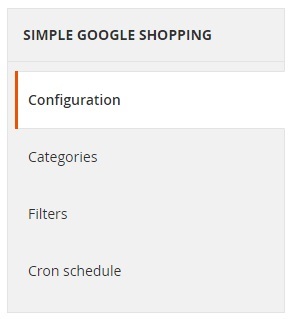 As you can see, Wyomind Simple Google Shopping for Magento 2 and 1 has a very user-friendly and intuitive interface and offers all features necessary to generate an advanced product feed for Google. The price of the extension starts at just €50!